EVERY OPERATOR MUST BE TRAINED! 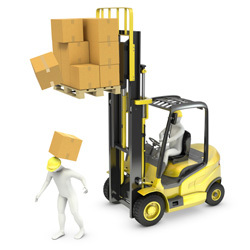 Accurate Lift Truck offers classes at our facility or yours! Sit-down, Counterbalance & Narrow Isle! Course includes video, student participation, in-depth instruction, equipment inspection training, written test and practical driving test. Upon successful completion, each student will receive an Operator’s License. The company will receive a Certificate of Completion. call 1-877 LIFT FAST (1-877-543-8327) today!